Being flexible does not have to mean being uncomfortable. 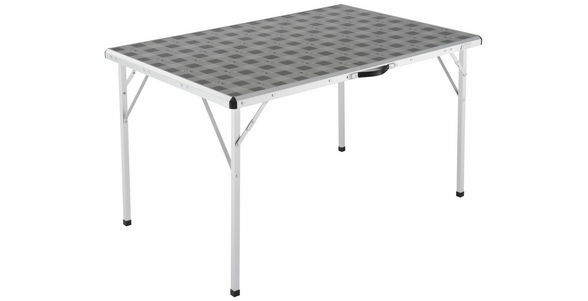 Large Camp Table can be set up and packed away in an instant. Featuring an innovative antimicrobial table top to inhibit the growth of mould and mildew, this lightweight and durable Large Camp Table is designed to comfortably seat 6 people. With a convenient foldable construction, the camping table can be easily transported to and from the campsite.